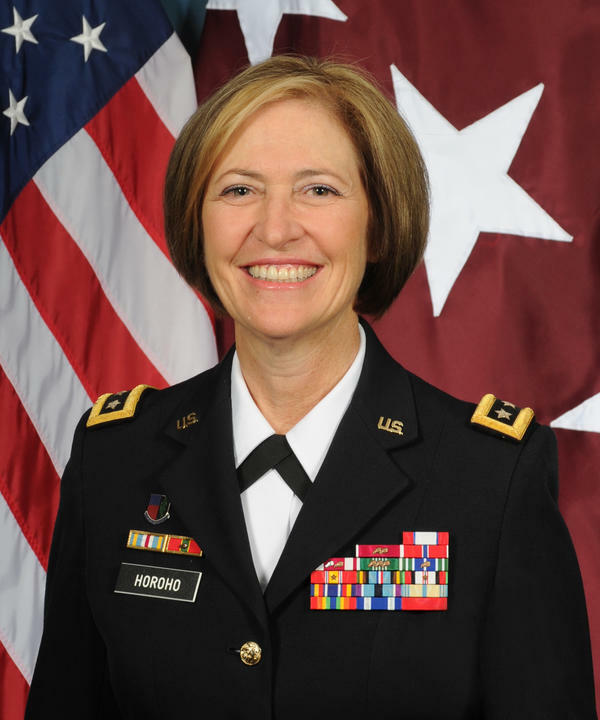 Lt. Gen. Patricia Horoho, the Army's surgeon general, ordered an investigation at Fort Carson and concluded mistreatment of soldiers was "not systemic." 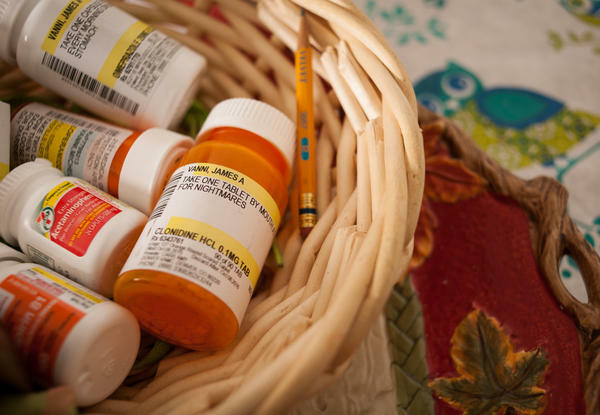 Bottles of medicine at Vanni's home. He says he still has nightmares from his time serving in Iraq. NPR has learned that the Army has kicked out tens of thousands of soldiers who have been diagnosed with brain injuries and mental health problems. Our investigations unit found that this has happened since 2009 as these soldiers have returned from war. We've obtained information from the Army which has never been released before. NPR's Daniel Zwerdling joins us now. And Danny, what are the details? DANIEL ZWERDLING, BYLINE: All right. First, I need to give you some background. We reported many years ago that a lot of troops who came home from the wars with mental health problems and brain injuries misbehaved. They'd get drunk and drive. They'd talk back to their officers. SHAPIRO: That's not good, but that's not surprising considering that they had brain injuries and mental health problems. ZWERDLING: Exactly. But we found that instead of giving them enough help, a lot of commanders were kicking those soldiers out of the Army and taking away their benefits because they committed misconduct. So Congress passed a law to try to stop that, and this was back in 2009. Congress basically told the military, look; if troops come back from the wars and get in trouble, you can't just kick them out like criminals. You've got to figure out if there are extenuating circumstances. SHAPIRO: Extenuating circumstances like post traumatic stress disorder or traumatic brain injury. ZWERDLING: Right. So I teamed up with our colleague Michael de Yoanna. He's at Colorado Public Radio. And we got the Army to give us data that they say they've never compiled before. They've kicked out more than 22,000 soldiers for misconduct since Congress passed the law even though they'd been diagnosed with brain injuries or mental health disorders. SHAPIRO: So these are 22,000 soldiers who served in Iraq and Afghanistan with mental health problems or brain injuries, exactly the kinds of soldiers this 2009 law was designed to address, who are nonetheless kicked out. ZWERDLING: That's right. Now, an Army official told us, look; some of those soldiers didn't have serious mental health problems when they committed misconduct, so you can't blame their behavior on the war. But he couldn't give us data to back that up. And there's more to our investigation. A top general received allegations last year that a lot of troops who had mental health problems were not getting proper treatment still at Fort Carson in Colorado. That's one of the most important bases in America. So what'd the Army do? Our investigation found not much. So, Ari, settle back because we're going to tell you the whole troubling story now. And we can tell it only because there was a staff sergeant at Fort Carson named Eric James, and he did something kind of sneaky. ZWERDLING: He recorded his meetings last year with Army psychiatrists and officers secretly. So that rustling - that's the recorder jostling in the soldier's pocket as he walks to his next counseling session at Fort Carson. ZWERDLING: And that's the door closing as he enters the psychiatrist's office. James gave us his recordings. They've never been broadcast before. UNIDENTIFIED PSYCHIATRIST #1: How are you doing today? ERIC JAMES: Oh, I'm OK I guess. ZWERDLING: But as you listen to James's recordings, it's clear that he is not doing OK at all. In fact, he tells the psychiatrist he's been feeling suicidal. And the Army psychiatrist responds by telling him that - well, let's hear what the psychiatrist says in the minute. ROBERT JAMES: It's pretty hard as a parent to see your kid go the way he did. He was happy-go-lucky. Now he's depressed, and he's always down and out. ZWERDLING: Robert James is Eric's father. His mother is Beverly Morris. BEVERLY MORRIS: I can't even find the words to - it's just - this isn't the boy - young man I'd raised. He is totally a whole different person. E. JAMES: It's like my mom said. She was the person I'd always call. ZWERDLING: You've heard stories about soldiers like James. He says he drank 12 beers every night so he could sleep. E. JAMES: And I would call her, you know, after I'd drinken so much. And it's late at night, and I'd tell her, Mom, like, I need help. Every day, I wish I was dead. ZWERDLING: Then one night in 2011, James was pulled over for drunk driving in Colorado Springs. And two years later, officers at Fort Carson suddenly told him, we're going to kick you out of the Army for misconduct because of that DUI two years ago. James knew a bad discharge could mean forget your retirement pay; forget your health insurance, and good luck finding a job. James didn't even realize at the time that Congress had passed that law to try to protect soldiers like him. But now Fort Carson was about to put him on the street. E. JAMES: My unit, the Army, was the enemy. And you learn to gather intelligence, and you surveillance every move that the enemy make. That's what you do. And that's when I determined that I was going to record everything. ZWERDLING: James recorded more than 20 hours of meetings with Army therapists or counselors, some people call them. ZWERDLING: In this session, James is telling a therapist that he feels angry most of the time. He doesn't trust anybody. He isolates himself. ZWERDLING: And then James tries to talk about some of his scariest experiences fighting in Iraq. 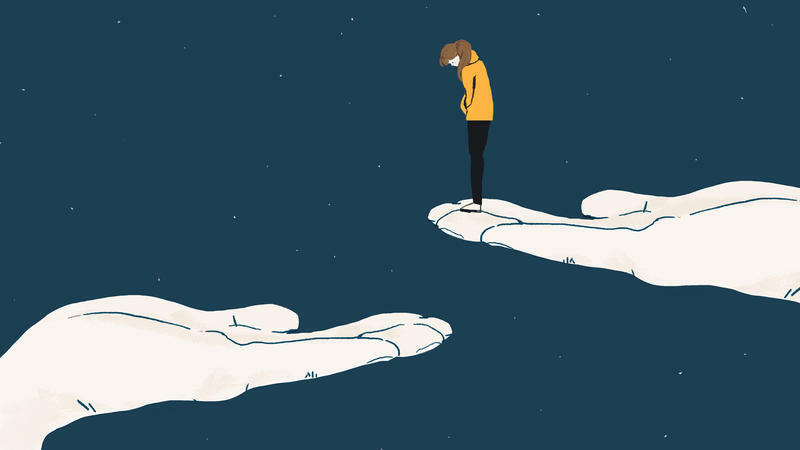 The standard therapy textbooks say the counselors can help patients best when counselors are supportive and build trust, when they're empathetic because when your patients feel safe enough to share their deepest fears, you can help them understand their problems. And then you can help them start to get better. Listen now to this therapist. E. JAMES: And, like, one month, there was over a thousand IED strikes. UNIDENTIFIED PSYCHIATRIST #2: You said Sadr City - yeah. E. JAMES: Yeah. It was bad. UNIDENTIFIED PSYCHIATRIST #2: ...Big time. That was one of the big ones. But it was not an emotionally crippling experience. You're not in a corner rocking back and forth and drooling. ZWERDLING: And James recorded another session with one of Army's top psychiatrists at Fort Carson. A few weeks earlier, James filled out a questionnaire used to help diagnose post traumatic stress disorder. You rank your systems on a zero-to-five scale, and James put down lots of fives, which are the most extreme symptoms. But the psychiatrist doesn't try to get James to open up and explain why he ranked his symptoms extreme. Instead, the psychiatrist challenges him. UNIDENTIFIED PSYCHIATRIST #3: You know, for somebody to be, I mean, extremely - from - when I look at this, and I see disturbing memories - when I see extreme, you should be in a hospital. E. JAMES: You didn't see my sleep study, obviously, that I did. You didn't see the fact that I don't sleep at all, the fact that they give me medicines that doesn't [expletive] work. UNIDENTIFIED PSYCHIATRIST #3: Well, I did [expletive] see your sleep study, and there's no reason to cuss, OK? UNIDENTIFIED PSYCHIATRIST #3: That's not what I'm telling you. See, you - that's what you're hearing. People who are like this - this means you cannot function. E. JAMES: I'm not angry at you. UNIDENTIFIED PSYCHIATRIST #3: You're missing the questions that I'm asking. I said, for people that put that down - all those fives - most of those people need to be in a hospital to be stabilized because right now, you shouldn't be walking around if that's how bad you're doing. 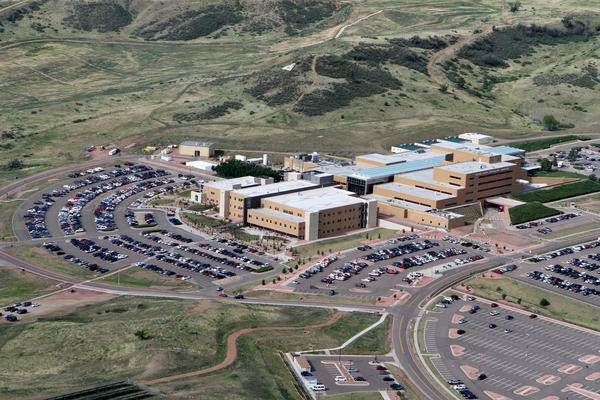 ZWERDLING: James also meets with another psychiatrist at Fort Carson. And this time, he sounds like he's close to the breaking point. As you probably know, the nation's leaders have said that preventing soldier suicides is a top priority. James tells the psychiatrist in this recording that he's thought about killing himself. E. JAMES: I can't do it, Sir. I'm [expletive] losing my mind. I can't even sleep last night. Like, last night, I just wanted to [expletive] take all my pills and just - couldn't do it, Sir. This is killing me, physically and mentally. ZWERDLING: As the psychiatrist responds, he sounds sympathetic but doesn't ask James a single follow-up question to find out what he's feeling about committing suicide. After James started recording these sessions, a buddy referred him to a free legal services group that helps soldiers in trouble. It's called the Uniformed Services Justice and Advocacy Group. Andrew Pogany is the co-director. He used to be a soldier himself at Fort Carson. He fought back against the Army for mistreating him, and he won. Pogany says he listened to all 20 hours of Eric James's recordings. ANDREW POGANY: It painted a picture that was mortifying and horrifying. ZWERDLING: Pogany sent some of the recordings to a psychiatrist who advises the general who runs the entire Army's medical system. And that psychiatrist was horrified too. He fired off a memo warning that some of what he heard, quote, "demonstrates unprofessionalism, hostility and lack of empathy and potential for negligence leading to significant potential harm," unquote. As a result, the general ordered an investigation. 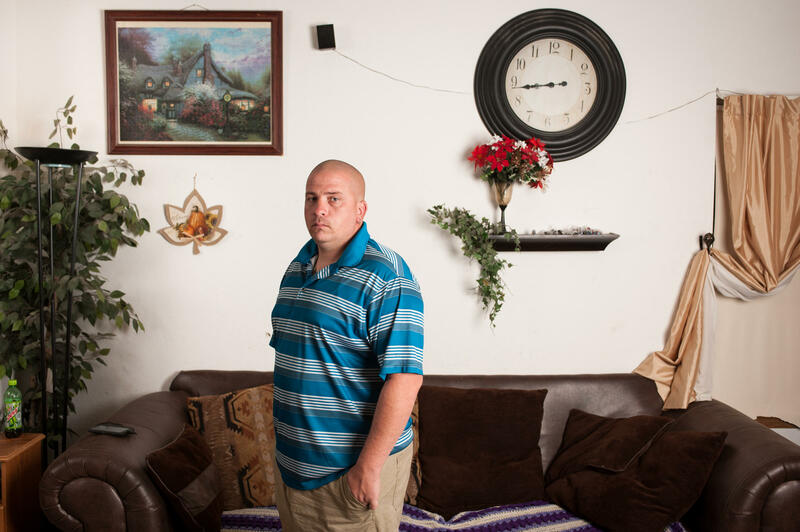 She asked, have staff members at Fort Carson mistreated Eric James and other soldiers? PATTI HOROHO: Lieutenant General Patti Horoho, the 43rd surgeon general and the commander of Army Medicine. ZWERDLING: General Patricia Horoho called a press conference at the Pentagon earlier this year, and she announced the results. HOROHO: The investigation found that we had two providers - one, a social worker and one, a physician - that actually showed a lack of dignity and respect to one soldier. ZWERDLING: In other words, the investigation found that one soldier at Fort Carson - one soldier - had been mistreated. Horoho also told reporters that two of the therapists were reprimanded. But then Horoho gave good news. HOROHO: We did not find that this was a systemic issue. ZWERDLING: Horoho repeated that conclusion. HOROHO: I thought the investigation was a very thorough investigation. I believed it gave the facts and verified that there wasn't a systemic problem. ZWERDLING: And she stressed it again. HOROHO: I have not seen anything that systemic. ZWERDLING: Problem solved, except not really. 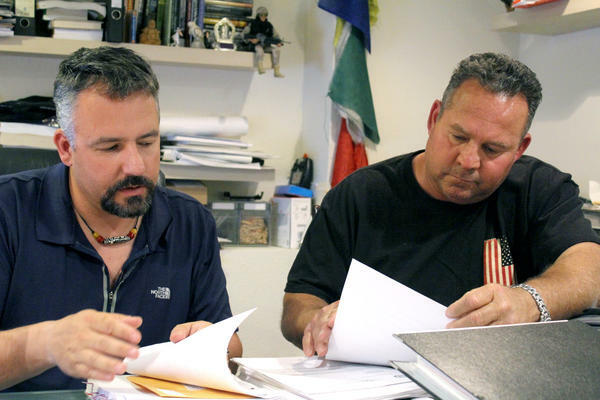 The soldiers advocates had met for hours with Army investigators, and they told them the commanders at Fort Carson mistreated lots of soldiers after they came home from the wars with mental health problems. In fact, Pogany and his colleague gave investigators details about nine current and former soldiers who they said were typical cases. But General Horoho's investigators did not interview a single man on that list. Ask a former soldier named Robert Kinnon. We tracked him down and all the others too. Has anybody from the Army contacted you to investigate your case? ZWERDLING: Or ask a former soldier named Frank Costabile. So nobody has said, we're doing an investigation; we need you to help us? ZWERDLING: And Dennis Tackett, did the surgeon general's investigators interview you? DENNIS TACKETT: No, no. I never got an email. I never got a phone call, a text message - nothing. ZWERDLING: Yet, General Horoho declared there were no systemic problems at Fort Carson. SHAPIRO: That's NPR's Daniel Zwerdling, who is in the study with us. And Danny, before we take a brief break, let me just quickly ask you, why would commanders kick out soldiers when those soldiers have mental health problems? ZWERDLING: Those sources at Fort Carson told us there's a few possible reasons. For one thing, a lot of commanders still have an unforgiving attitude, and even some therapists do too. You know, if you mess up, you pay the consequences. Also, if you're a commander and you have problem soldiers, just about the easiest and fastest way to get rid of them is to kick them out for misconduct. SHAPIRO: Thanks, Danny. So to repeat, the Army has kicked out more than 22,000 soldiers since 2009 after they came back from wars with mental health issues or traumatic brain injuries. More on allegations that commanders at Fort Carson in Colorado have mistreated soldiers who returned from war with mental health problems. NPR's Daniel Zwerdling picks up our story. ZWERDLING: Fort Carson is by no means the only base where soldiers have made these kinds of allegations, but we're focusing on Fort Carson because, first of all, we got those secret recordings that a soldier named Eric James made last year of his meetings with Army therapists. Second, the Army investigated Fort Carson, and a top general concluded that there's no systemic problems there. They didn't meet James Vanni. ZWERDLING: We dropped by Vanni's house one evening near Fort Carson. He was standing at the stove, stirring ground meat. His kids were plopped on the couch watching TV. Bri (ph) was 12, Christian (ph), 9. CHRISTIAN: My dad is awesome. BRI: He's a good cook with steaks. ZWERDLING: What about tacos? That's what you're having tonight, I think. BRI: My mom's better, but he's OK.
CHRISTIAN: But he is better than nothing. 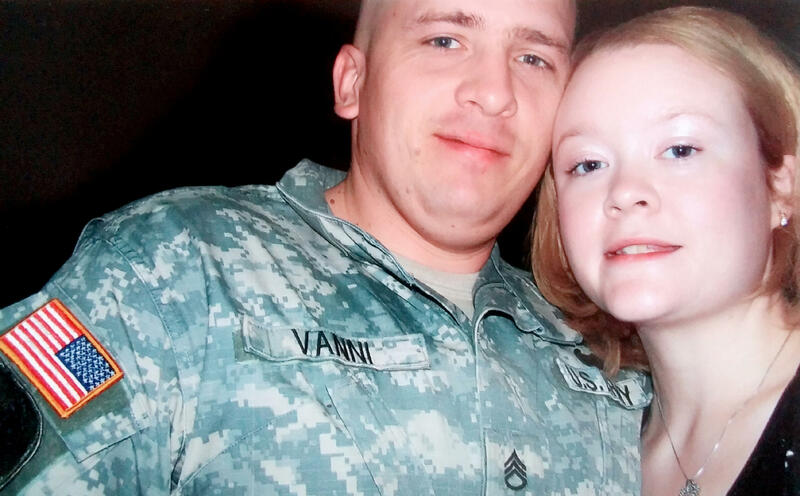 ZWERDLING: Vanni's name was on that list that soldiers' rights advocates gave to Army investigators as examples of troops with mental health problems whom the Army tried to kick out. Those investigators never called him. Vanni deployed to Iraq in 2004. His unit got assigned near Sadr city. J. VANNI: Our day one, we got ambushed - day one. We lost eight guys dead that day and 60 more wounded. ZWERDLING: Vanni came home the next year and started unraveling. He kept getting headaches and forgetting things. 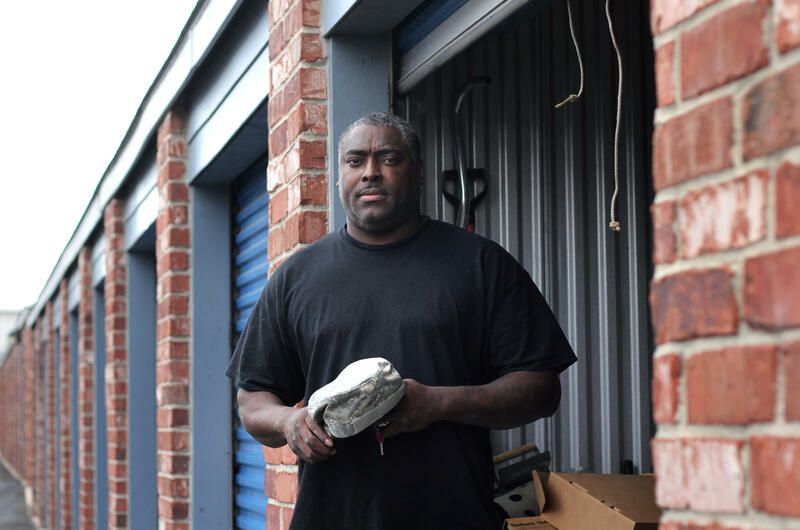 Medics rushed him to the emergency room one morning. It looked like he was having a heart attack. It turns out it was a panic attack. And then at 1 a.m. the day before Christmas 2013, Michelle Vanni says he freaked out. MICHELLE VANNI: He came in the house screaming and yelling, and he made absolutely no sense. I mean, he even turned, and he was just talking to the wall. J. VANNI: I - the whole incident is really blurry to me because I was kind of there, but I wasn't. M. VANNI: And he was pointing to the gun, but there was no magazine in it. And you know, I didn't know that, so I tried to call 911 'cause he was scaring me. ZWERDLING: Michelle says when the police showed up, she told them. M. VANNI: He's depressed, and he's suicidal. He needs help. They told me they were taking him to a hospital. They took him to jail. 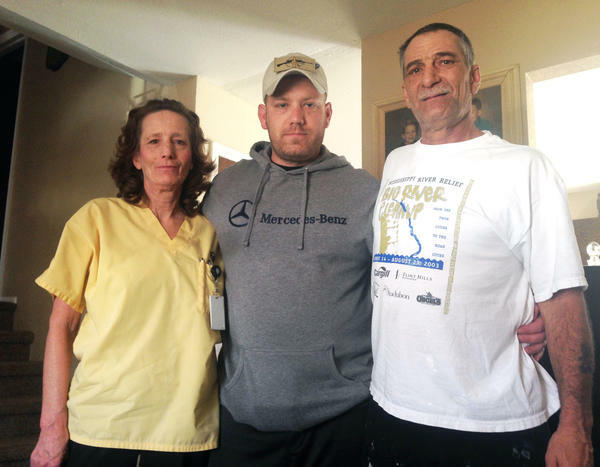 ZWERDLING: And then Fort Carson started kicking him out of the Army for domestic violence. Army officials acknowledged they did not interview Vanni or any of the other eight men whom soldiers' rights advocates said had been mistreated. The officials say they did review the soldiers' medical records, and that convinced them the men got proper treatment. But we obtained the soldiers' records too, and we asked three independent psychiatrists to review them. And each of those psychiatrists told us, based on the records I've seen, I would've said do not kick out these soldiers. One of those psychiatrists used to be the top mental health advisor in the Army, Colonel Elspeth Ritchie. ELSPETH RITCHIE: Especially for our soldiers who are coming back not just with post-traumatic stress disorder, but with dramatic brain injury and other wounds, I really think that we, as a society, need to take that into account. I absolutely would want them to get the benefit of the doubt. ZWERDLING: But then I talked with the former number two general in the Army, and he told us that we're making this issue of mental health and of misconduct sound simpler than it really is. Here is General Pete Chiarelli. GENERAL PETE CHIARELLI: It would be wonderful if we could tell 100 percent of the time whether or not that misconduct is because an individual is, in fact, acting bad or it's because they have some kind of a mental issue. But the fact of the matter is - and this is the important point for you to understand - is our diagnostics are so horrible, we cannot always make that determination. ZWERDLING: Chiarelli commanded multinational forces around Baghdad during some of the worst fighting in Iraq. He retired a few years ago. So, Pete Chiarelli, does it make sense for the Army to push out soldiers who have mental health problems and who commit misconduct? CHIARELLI: Does it make sense? If they're going to be non-deployable for a long period of time and if we don't have good diagnostics and good treatments, yes, it does make sense because I need deployable soldiers inside my ranks. ZWERDLING: It turns out that some the soldiers we tracked down who were getting kicked out for misconduct did not get kicked out after all. That includes James Vanni and Eric James who made the secret recordings. Commanders at Fort Carson did an about face after James triggered the investigation, and they retired the soldiers with honor and full benefits. General Patricia Horoho announced the results of the Army's investigation at Fort Carson earlier this year. She ordered the staff at the base to take a workshop on issues like dignity and respect during patient encounters. And the Army made it easier for soldiers to appeal if they feel they've been mistreated. But our investigation found that these actions have not fixed the problem, at least not for soldiers like Sergeant Larry Morrison. ZWERDLING: Morrison's world right now is jammed in this commercial storage locker off a busy road in Colorado Springs. Morrison has served 20 years in the Army. He led soldiers on three deployments in Afghanistan and Iraq. The Army awarded him a Bronze Star. That's one of the most prestigious medals the Army can give you. MORRISON: It says right here - Sgt. 1st Class Morrison's superb leadership and commitment to excellence contributed to great - to the overall success of the command. 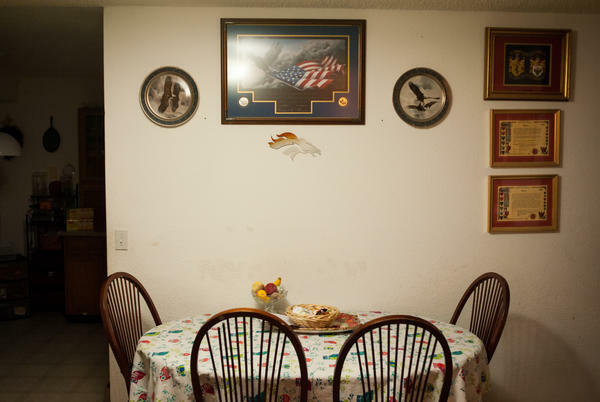 ZWERDLING: But at this very moment, Fort Carson's trying to kick him out. One of his former commanders can hardly believe it. Captain Tyson Walsh fought with Morrison in Afghanistan. Out of all the leaders you've known, where does Larry Morrison rank? CAPTAIN TYSON WALSH: Oh, I mean, in the top 10 for sure. I've had to put my life in his hands more than once, and every single time I did, it was the right answer. ZWERDLING: That's the Larry Morrison who was scheduled to retire with honor on March 17 of this year. The Army said he deserved to retire on medical grounds because he has chronic PTSD. But around 3 p.m. that very day, Morrison's commander gave him a document that said instead of retiring him, the Army's going to kick him out and take away his benefits. Why? Because Morrison pleaded guilty to a DUI and reckless driving two years ago and because the Army alleges that Morrison joined a criminal motorcycle gang that's been linked to shootings and drugs. Morrison and other soldiers told us, criminal gang - that's one of the most popular bike clubs for black troops. Morrison's hired a lawyer to fight for him. Meanwhile, he gets recurring nightmares about one of his soldiers who got killed in Afghanistan. A doctor prescribed pills to suppress the dreams, but Morrison says he doesn't always take them. MORRISON: Nightmares are bad, but at the same time, they're good, you know, actually because the nightmares help you to remember the guys that are gone. And you know you can't go see them. You can't call him, and you can't go talk to them. So sometimes you want the nightmares to help you spend time with the guys that are actually gone. ZWERDLING: We've sent more than half a dozen emails to General Horoho asking to meet with her. We've also asked to interview the top two generals in the Army. What do they make of the fact that the Army has kicked out tens of thousands of troops in recent years who came back from the wars and were diagnosed with mental health disorders? None of the generals would meet with us. Daniel Zwerdling, NPR News. SIEGEL: You can see more about the soldiers getting kicked out at npr.org. Transcript provided by NPR, Copyright NPR. How Do Stereotypes Of Mental Health Affect Us? Part 2 of the TED Radio Hour episode Headspace. 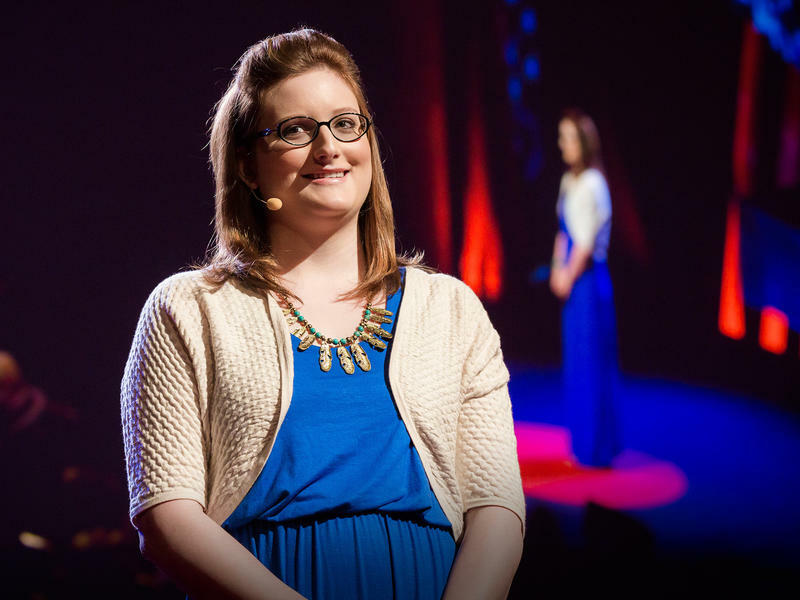 Twenty-three-year-old Alix Generous describes her years-long journey through misdiagnosis in the mental health system and how it affected her sense of confidence and self-worth.